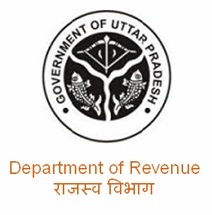 Uttar Pradesh Board of Revenue, is going to conduct the written exam for the recruitment of Lekhpal / Accountant posts. The exam is scheduled to be conduct on 13 September, 2015 at various exam centers in Uttar Pradesh. There are lacs of candidates who had applied for this exam, since the number of vacancies are so big i.e. 13600 total vacancies, accordingly number of candidates had registered for this exam online. There are a large number applicants are going to appear in this examination for Lekhpal. How To Download UP Lekhpal Exam Admit Card 2015 Online? The process of release of UP Lekhpal Admit Card 2015 is under going and the board will release the online admit cards / hall ticket very soon on its official website www.upsssc.gov.in. Hall tickets will be available for download on or after the 11 August, 2015. We will notify you via facebook, email, twitter, google plus etc. so that you can download your admit card as soon as its release. All the candidates are advised to Download UP Lekhpal Admit Card 2015 online from the direct link provided below. The admit card will be available at the official website of Board of revenue, UP, www.bor.up.nic.in. UPSSSC Chakbandi Lekhpal Exam Date is extended to 8 November, 2015 as per the news published in Hindustan Newspaper, while there is no official notice published on the official website upsssc.gov.in. The written test will conduct at 75 districts of Uttar Pradesh. The test contains multiple choice objective type questions. The vacancies has to be filled on district level and the candidates who qualify the written exam, will have to appear in interview. The total marks of examination is 100 out of which 80 for written exam and 20 for interview. Exam conducted under board of Revenue, Uttar Pradesh (BOR UP).